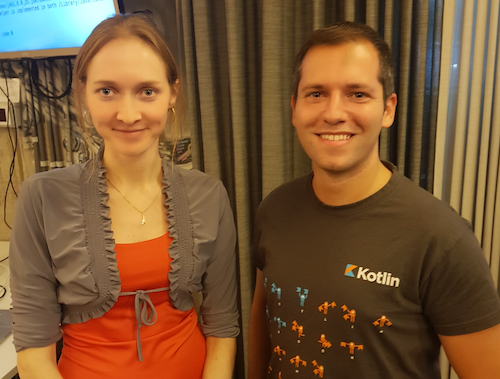 I had the immense pleasure to attend a Kotlin workshop taught by Svetlana Isakova herself! For those who don’t know, Svetlana is a Developer advocate at Jetbrains. She started to work there in 2011 on the compiler at the very beginning of the Kotlin project. She was always the one answering the talk requests Jetbrains was receiving so she naturally became part of the advocate team of the language. Experience wise, I do not have as much mileage as I would like to have at this point. I’ve rewritten from scratch a Gradle Plugin we use at work (in which I improved execution speed from ~2 minutes to 8 seconds thanks to coroutines!). I also wrote an Android podcast app for Talking Kotlin where Hadi Hariri interviews developers about their beginnings and experiences with Kotlin. The app will be open-sourced when published. 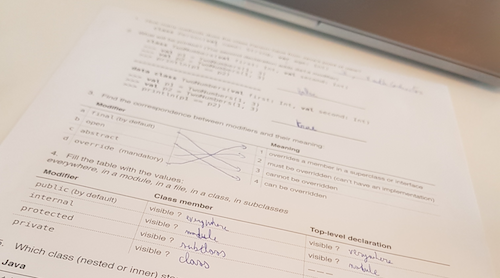 This workshop came perfectly on time for me to clarify some features I didn’t really get before (the concept of Nothing and what is going on with suspended functions in coroutines, mainly). 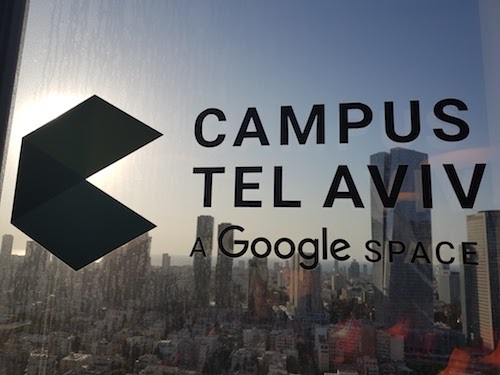 The workshop itself happened at Google Campus TLV (a space made available by Google to support tech related user groups) and was divided in three consecutive days, four hours each day. It was intense, but that’s what we came for! Svetlana is an amazing teacher. 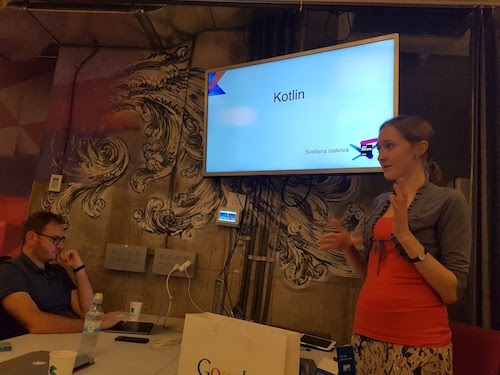 She managed to cover all the main features and explained to us lots of the thoughts behind the way Kotlin works. All her workshop material is available on her Github account. After each presentation a quiz was distributed. Those were for refreshing our attention and highlighting the key points on each presentation. To brag a little, I did get most of the questions right but not all of them! I’ve got to study more! It was awesome to be able to ask questions to a person who knows the ins and outs of the language so well. The whole accessibility around Kotlin (on Slack) still baffles me. 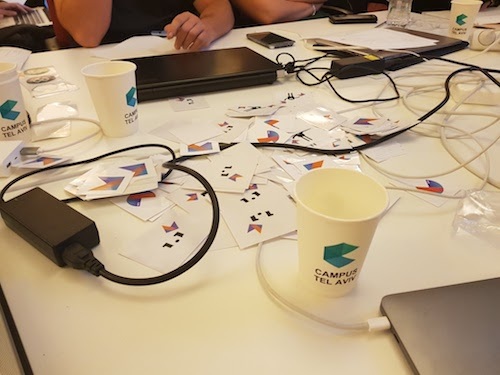 Not only the Kotlin dev team is available to everyone but all the community is also present so every question get answered in a heartbeat! Of course it’s in the interest of Jetbrains to help people get on board but it’s the first time I see you can just ask directly a question to the gal or guy who wrote that feature in a programming language. 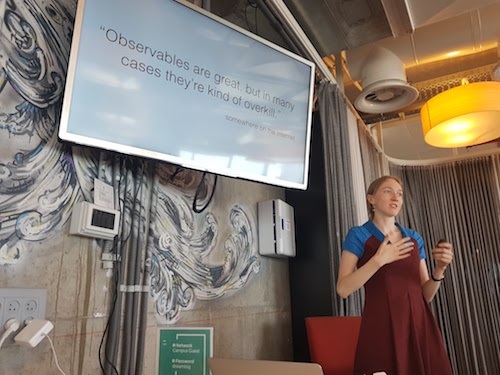 We did not write code on our computers but since so much material was covered I think it suited well the level of expertise (and availability I guess) of Svetlana. 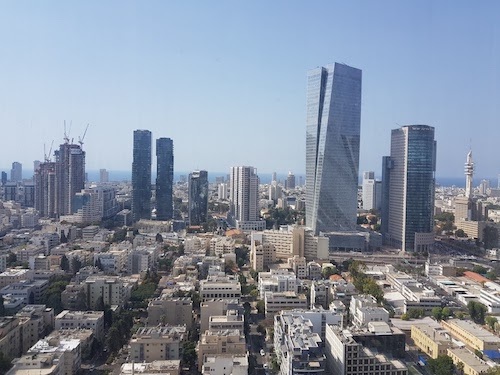 I plan to go through all of it in the next weeks and prepare exercises to go with the presentations to pass this knowledge through two hours workshop sessions at KotlinTLV. 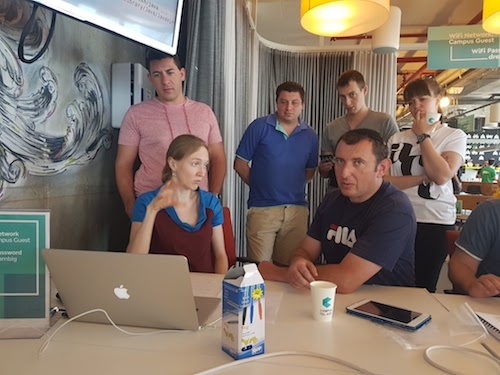 To conclude, I’d like to thank first Svetlana Isakova for coming and teaching us and secondly the organizers of this workshop: Yonatan V. Levin, Britt Barak and Yossi Segev. They worked really hard to give us this opportunity and I thank them for their time and efforts. 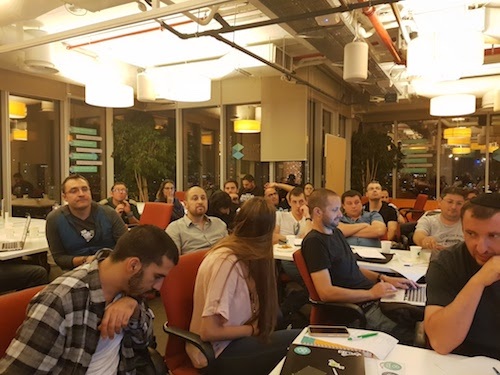 If you are an Android developer in Israel, you should definitely join Android Academy! 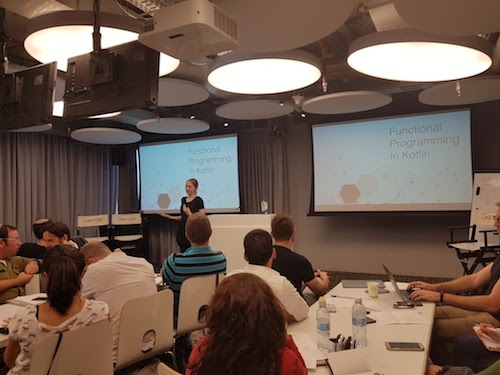 And of course, if you are interested in Kotlin (on any platform) join the rest of us at KotlinTLV.